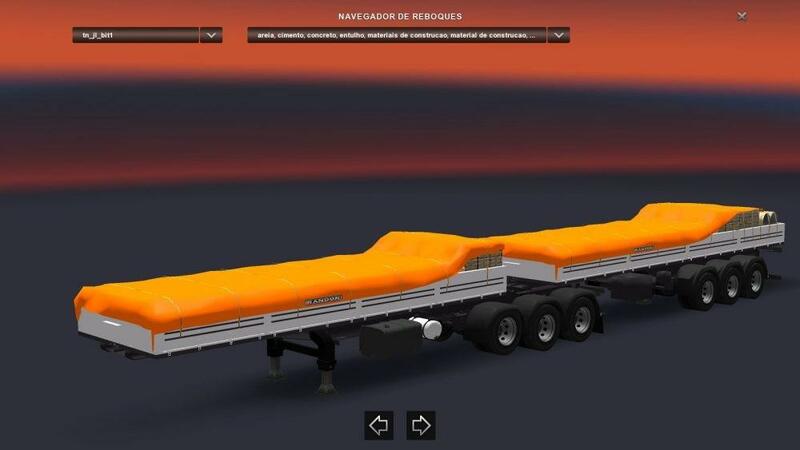 This is the new version of Double Articulated Trailer to Traffic and Cargo Pack V.3.1 (brazilian trailer style). 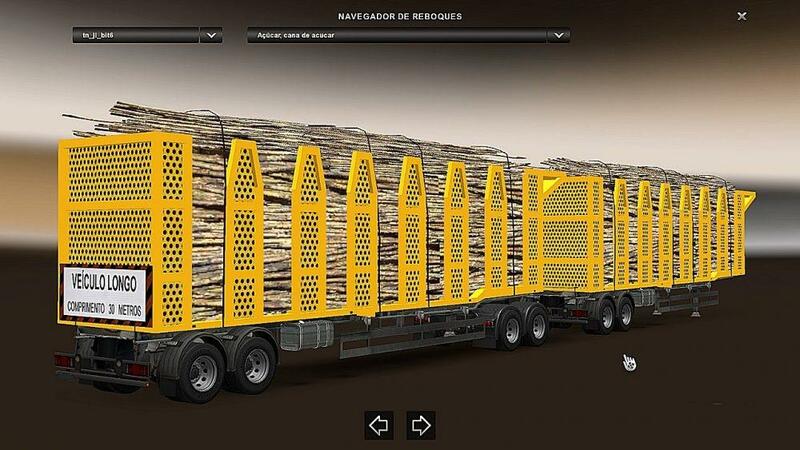 This pack adds many kind of brazilian articulated trailers (Doubles) in traffic and as cargo. Fully functional and totally compatible with EAA map, Eldorado map, RBR map, RCBrasil map and MBR map. But It’s also compatible with other maps too, but not totally. 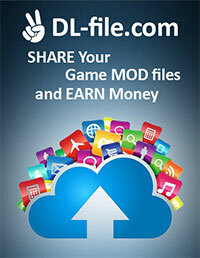 Please, see the description and credits file txt inside of “rar file” to see credits of all contributors. Attention to installation: inside of rar file, you’ll find a picture called “TUTORIAL” and a TXT called “INSTRUÇÕES_INSTRUCTION E CRÉDITOS” (they are references to facility the installation). * INSTALL ONLY THE “_PACK BITREM ARTICULADO_by_JL TRUCK.scs V.3.1” IF YOU DO NOT USE THE “PACK DE CAMINHÕES BRASILEIROS PARA O TRÁFEGO V.7.6.x by JL TRUCK”. 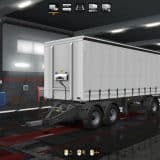 IMPORTANT: INSTALL “_PACK BITREM ARTICULADO_by_JL TRUCK.scs V.3.1” KEEPING HIGH PRIORITY. 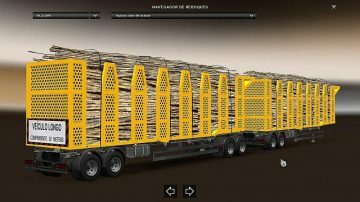 * INSTALL BOTH FILES “_PACK BITREM ARTICULADO_by_JL TRUCK.scs V.3.1 + _ADAPTAÇÃO PACK BITREM_by_JL TRUCK.scs V.3.1” IF YOU ALSO USE “PACK DE CAMINHÕES BRASILEIROS PARA O TRÁFEGO V.7.6.x by JL TRUCK”. 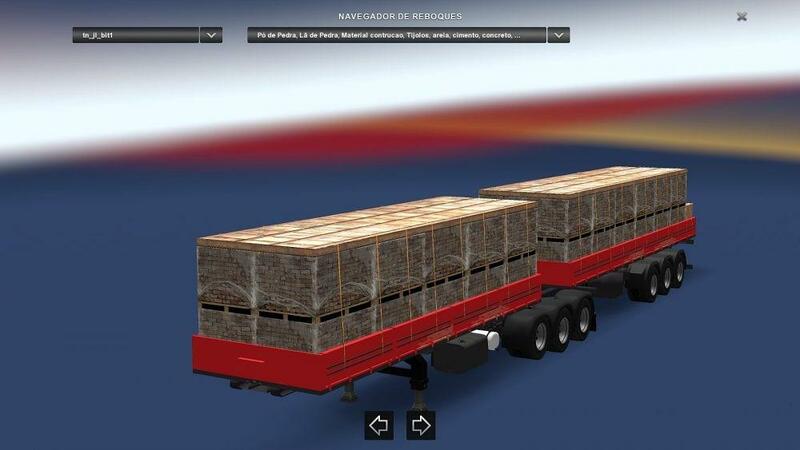 IMPORTANT: FOLLOW THIS PRIORITY OF INSTALLATION: 1º _ADAPTAÇÃO PACK BITREM_by_JL TRUCK.scs V.3.1; 2º _PACK BITREM ARTICULADO_by_JL TRUCK.scs V.3.1; 3º PACK DE CAMINHÕES BRASILEIROS PARA O TRÁFEGO V.7.6.x by JL TRUCK. 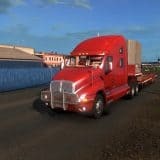 (SEE THE PICTURE “TUTORIAL.JPG”).